Normally, I’m not one for clean and simple. I like a lot of fluff on my cards 🙂 Furthermore, I’m late to the Inspired by Nature party because while I’ve had this set for a while, I’ve never used it. We planted some pink coneflowers in our garden over the summer, so I decided now would be a good time to put some ink to that stamp. I used Gina K Luxury Base Weight White card stock. It’s great for a one layer card because it’s super thick and sturdy. 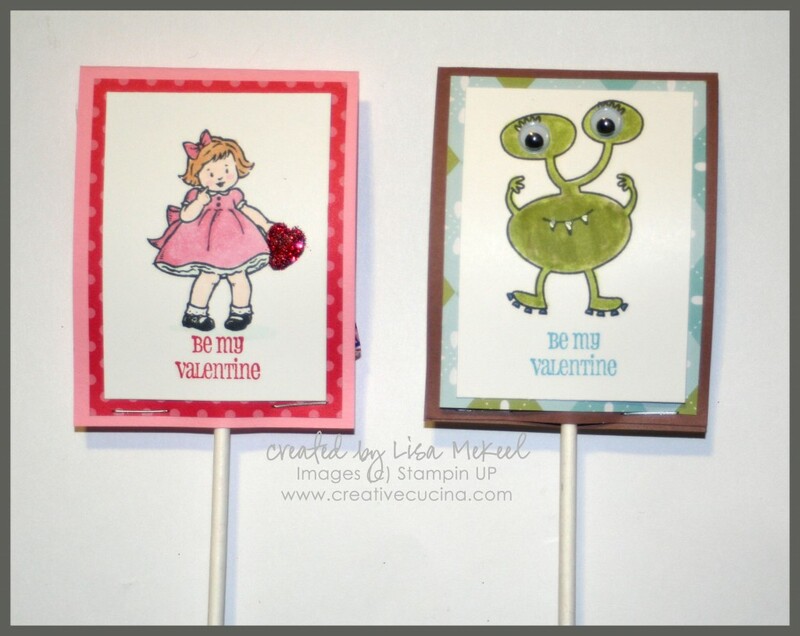 I inked the stamp using my Stampin Up Markers–the stems with Pear Pizzaz, the flowers with Blushing Bride and a little bit of Melon Mambo, plus Soft Suede for the flowers’ centers. The sentiment is actually 2 separate stamps from Thank You Kindly. 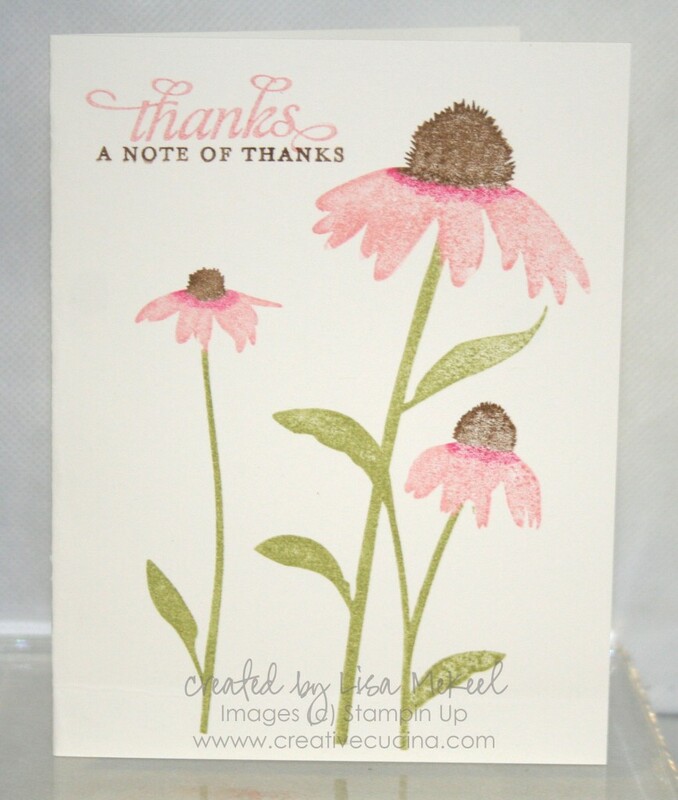 I stamped “thanks” with Blushing Bride ink and the other with Soft Suede ink. I wish there was more to say, but that’s it! The thing that took the longest was coloring on the stamp with the markers. 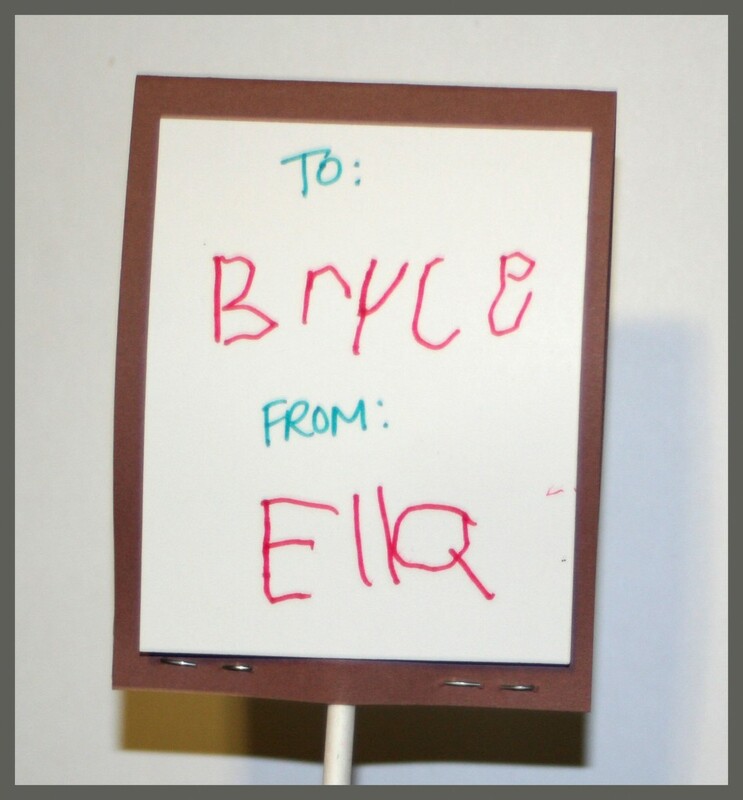 The rest of the card was done in just a few minutes . I started out with inspiration from this card. Although this pattern from Greenhouse Gala DSP matches the Ornate Blossom stamp set, I could not figure out a way to use them together. It was overkill whenever I tried. By sticking with a small section of the paper however, it balances out and doesn’t make the pattern seem too bold. Card base is Marina Mist, with a strip of Greenhouse Gala DSP paper pierced. I stamped the Ornate Blossom stamp in Marina Mist ink and the “just for you” in chocolate chip ink, from the Level 1 Hostess set Afterthoughts. 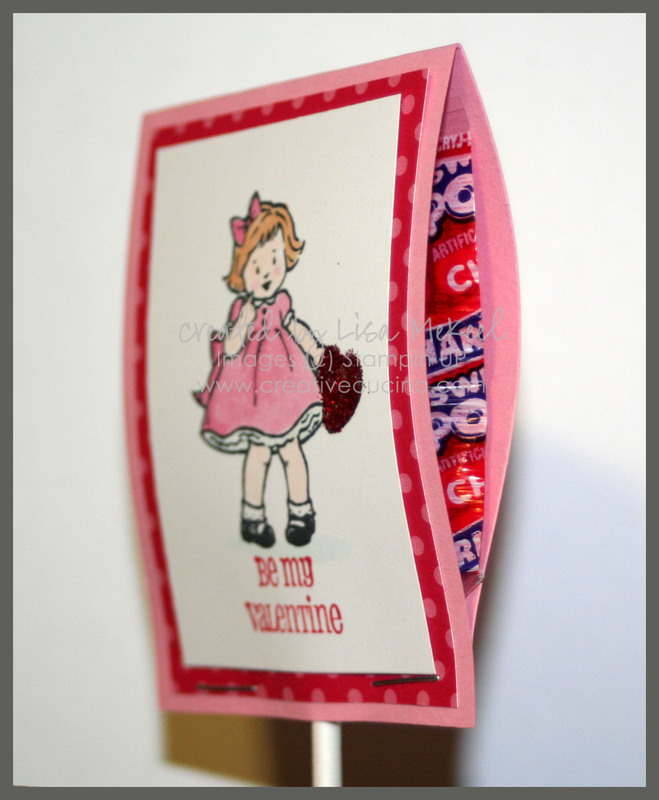 At the top, I used the corner rounder and tied some 1/4″ Chocolate chip twill ribbon (retired) around. To add some more color, I attached three flower buttons with mini glue dots. 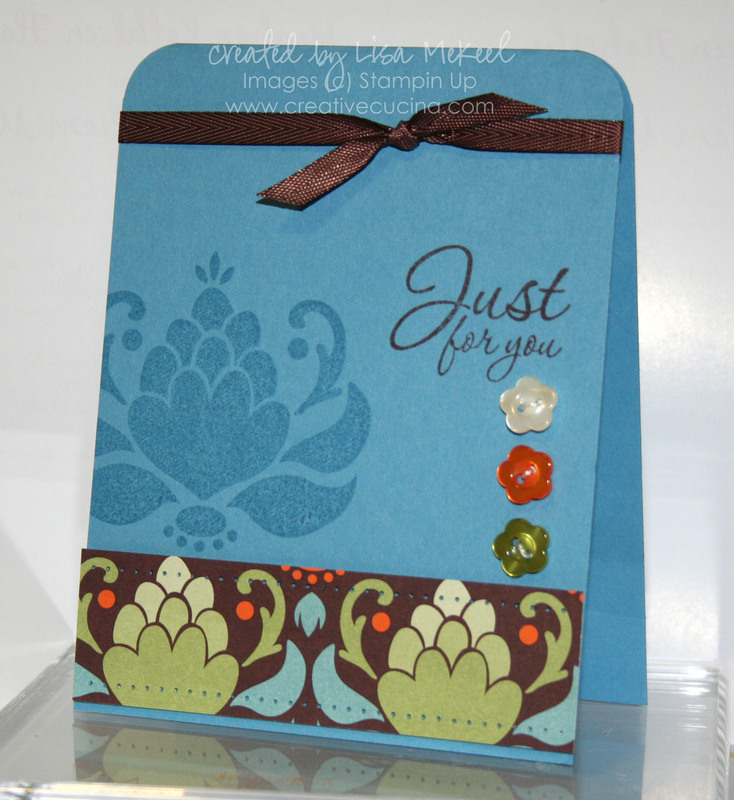 Along the same lines, I made this card using Ornate Blossom and Curly Cute stamp sets. The base is Marina Mist, with a strip of Greenhouse Gala DSP layered with chocolate chip card stock along the bottom. I stamped the Ornate Blossom with chocolate chip ink on whisper white card stock and paper pierced all around with the paper piercer. 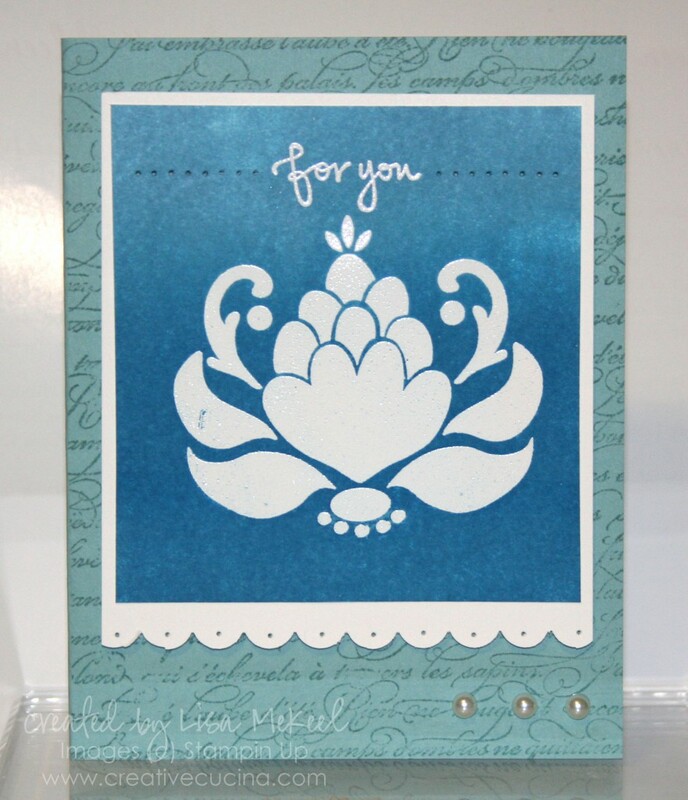 Then, I layered it onto pear pizzaz card stock with stampin dimensionals. 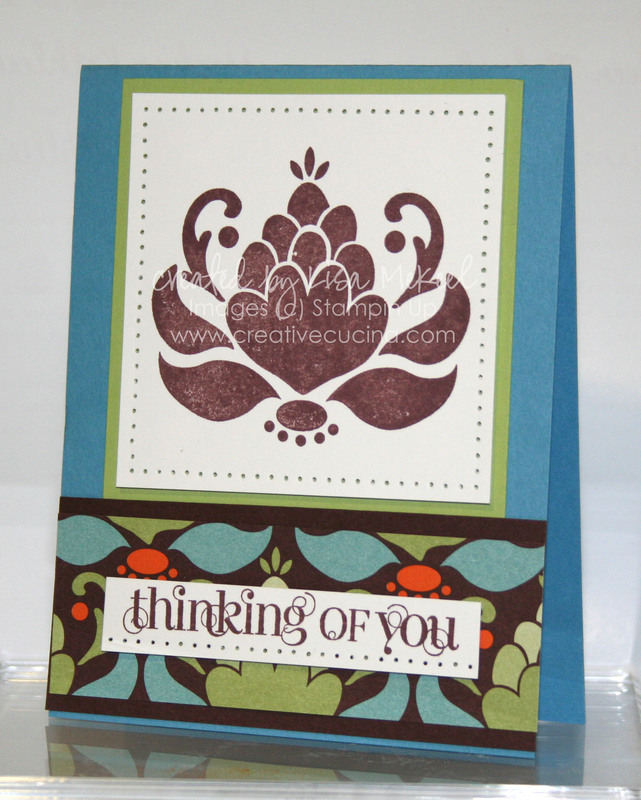 The “thinking of you” is from Curly Cute, stamped in chocolate chip ink on whisper white. I added a pierced line below the words to coordinate with the main image. For this last card, I stamped the Ornate Blossom stamp in Versamark on whisper white card stock and heat embossed it with White Embossing Powder. Then, I used the Brayer to add Pacific Point, Marina Mist, and Baja Breeze ink over the embossed image, darkest to lightest. Wipe the ink off the embossed image with a tissue. Next, I stamped “for you” from Great Friends in Versamark and again, heat embossed it with White Embossing Powder. I paper pierced on either side of it with the paper piercer. The main image was then matted onto whisper white card stock that I punched with the Scallop Edge Border Punch and paper pierced each scallop. The card base is Baja Breeze, stamped with En Francais in Baja Breeze ink. I attached the whisper white layer to the base with stampin dimensionals and then added three pearls from Pearl Basic Jewels.